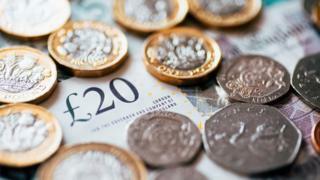 Payday lending giant CashEuroNet, which owns Quick Quid and Pounds To Pocket, is the most complained-about firm in the banking and credit category. The high-cost credit company knocked Barclays Bank off the top of the table, with collapsed lender Wonga third. More than two-thirds of complaints were upheld against the payday lenders. Some 72% of complaints were upheld against Wonga and 69% against Quick Quid. By comparison, only 28% of complaints against Barclays were upheld in the period January to July 2018. "These are astonishingly high uphold rates - higher than any other type of product the Ombudsman covers," said debt commentator Sara Williams, who blogs as the Debt Camel. "The current high levels of customer complaints being won at the Ombudsman suggests that the payday lenders have not improved their complaints' handling enough," said Ms Williams. "Lenders are continuing to reject or make poor offers to customers' complaints, even when they know from experience that similar cases are being routinely upheld by the Ombudsman. This is not treating their customers fairly." Britain's biggest payday lender, Wonga fell into administration last month after a surge in compensation claims against the firm.